Fans of sports in Michigan may already know the name Ryan Terpstra. Since his college days dating back to Calvin College, Terpstra has been in the sports journalism field and become a familiar face with both high school and professional sports coverage. 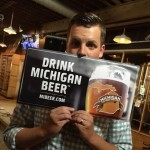 Now, Terpstra is also set to bring his journalistic take to the craft beer market of Michigan. At the age of 20, Terpstra won a local contest held by Fox 17 (WXMI) for a sportscaster dream job. After more than 100 applicants, Terpstra won a chance to compete on air for the contest and won by a fan vote. Terpstra became a prominent figure in the Grand Rapids sports radio scene with stints at WBBL and the local ESPN affiliate. Terpstra, along with Sean Baligian, was part of the duo of the sports radio show “ThE Shawn and Terp Show”. In 2008, Terpstra won the Best Broadcaster Personality Award from the Michigan Radio Broadcasters. Terpstra now works for State Champs Net. 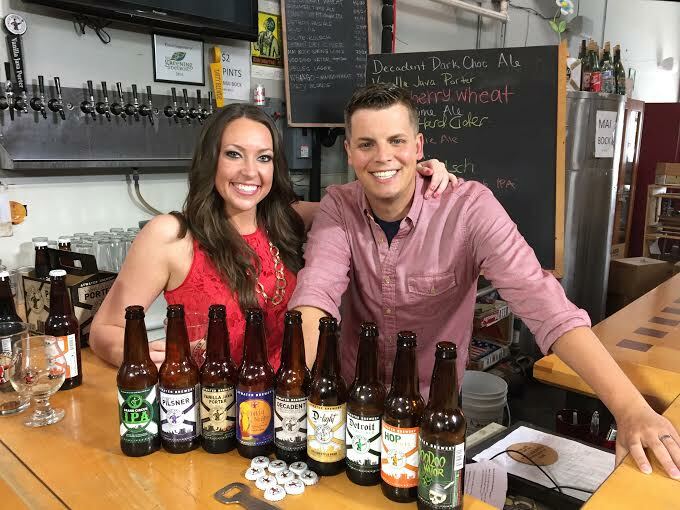 Ryan Terpstra has loved craft beer for years and that passion now takes him into his newest journalistic venture. Along with co-host Shannon Long, Terpstra will take viewers on journeys to Michigan breweries with their new show “Pure Brews”. The show airs Saturdays in October in the Southeast Michigan market and Sundays in October in the Grand Rapids market. Season one of “Pure Brews” includes visits to Arcadia Brewing, Atwater, Bastone Brewery, Brewery Vivant, Dark Horse Brewing, Frankenmuth Brewing, Jolly Pumpkin, and Rochester Mills Beer Company. Be sure to tune in to see backstory on the founding of these breweries and how they have overcome hard times. Grand Haven: My hometown! 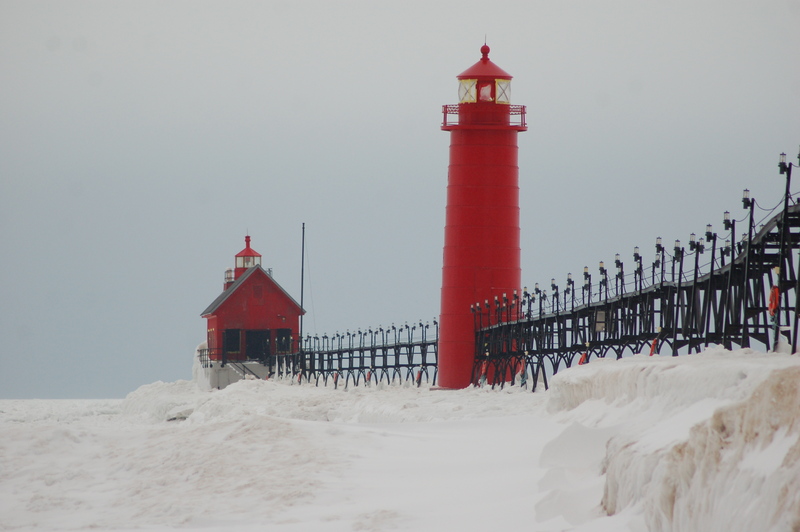 Thousands of people pile into Grand Haven every summer, and growing up there was great. 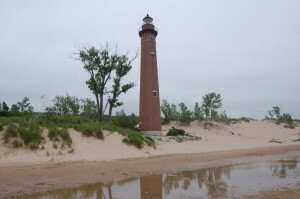 I’ve enjoyed every inch of the best beach in the Midwest (my biased opinion), ate way too many Butch’s Beach Burritos, and fished/biked/swam my way through my first 18 years. My parents now live on Harbor Drive, so I’m always excited to go back there to visit, whether for Coast Guard festival or just to drive by the lake. Silver Lake Sand Dunes: My family owned a cottage on Silver Lake, and my formative years were spent climbing up the sand dunes and then running full speed down into the lake about 3,000 times. 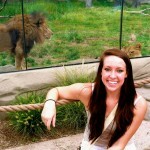 There is just so much to do there, and it was a great time to spend with family and friends. I still long for pizza and ice cream from the Whippi Dip, and I’m sure I’ll be taking my son on a dune ride sometime in the near future. 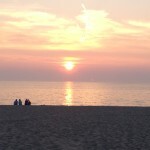 Bellaire, MI: My family’s current vacation spot. 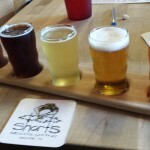 Short’s Brewing Co, Torch Lake, Schuss Mountain, it’s all there. Summers of golfing The Legend, kayaking in the Jordan River, and grilling out are matched by winters of skiing, attending Slush Cup, and sitting around a bonfire at the foot of the mountain. It’s a pretty great place to get away. Grand Rapids: This city has changed a lot in the 13 years that I’ve lived here. The explosion of downtown has been the best thing to see, and now different districts on both the east and west side of town are springing up new breweries and restaurants. The medical industry is attracting a lot of young professionals, and of course there are great colleges and universities. 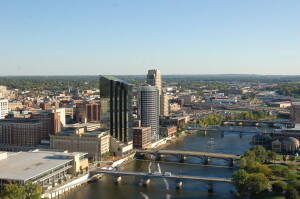 GR has become a young, vibrant city with a lot of stuff to do, definitely no longer Bland Rapids! Going to Griffins games, checking out ArtPrize, concerts at Meijer Gardens. I’m pretty pumped about this city right now. Leland: I love Fishtown. Getting something to eat at the Cheese Shop, staring down through crystal-clear water. My grandparents camp twice a year on Lake Leelanau, so I have plenty of memories of pulling walleye and pike out of the water and sending them straight to the frying pan. I’ve been fortunate enough to golf up there and spend the day relaxing on a pontoon boat. 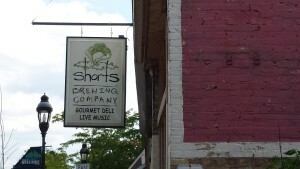 It’s a great place to enjoy a Michigan summer weekend. 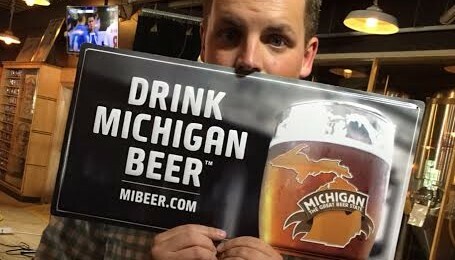 We thank Ryan Terpstra for taking the time to share his five favorite places in Michigan with us. 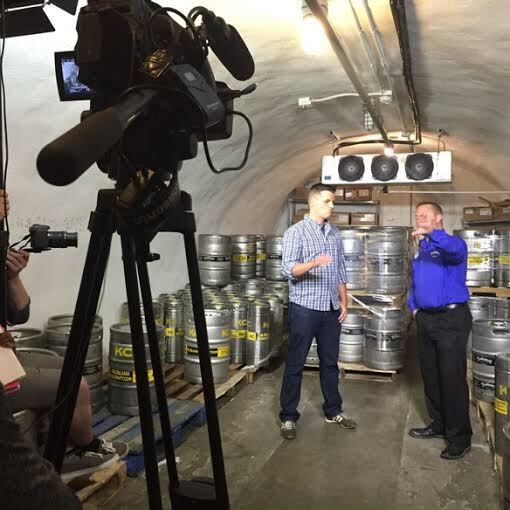 Be sure to check out the details on his new television show Pure Brews and like their Facebook page. Episodes air in October (Saturdays for Detroit market and Sundays for Grand Rapids market). 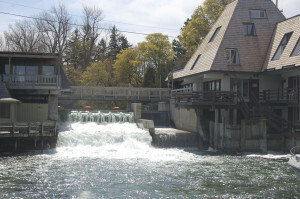 Be sure to check out more entries in our My 5 Favorite Places in Michigan series.